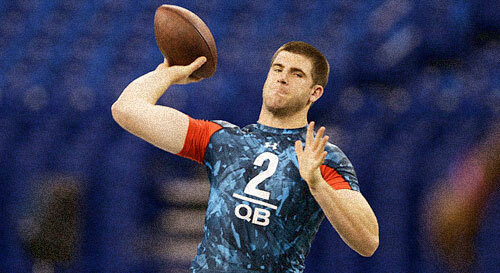 The 2013 NFL Draft is upon us and with it comes the hopes and dreams of so many young athletes and fans. There are previews galore but in reality no one can tell you what’s going to happen. So in preparation of this years draft we are recommending 3 very good articles. 2 involve players in this years draft and 1 on the primetime show that is the NFL Draft. 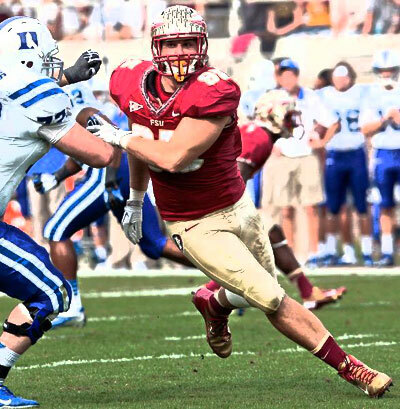 Bjoern Werner | Defensive End | Florida St.
Sports took a backseat during the tragedy in Boston. Games were been postponed or cancelled as hospitals treated the wounded and the authorities searched for the terrorists. Some of the initial shock has subsided and part of that is because of sports. In baseball, teams around the league sang ‘Sweet Caroline’ during the 8th inning, a Boston Red Sox tradition. Neil Diamond even showed up in Boston to do it himself this past Saturday. Even the arch rival New York Yankees sang it earlier in the week. 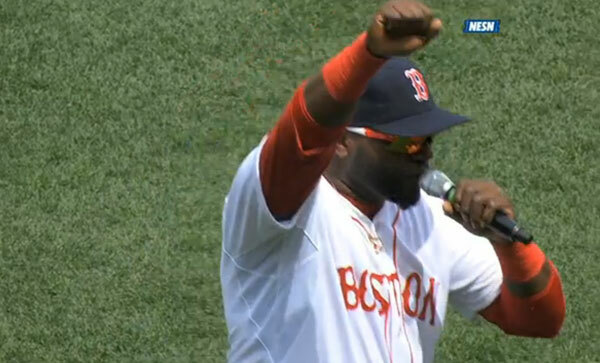 David Ortiz may have said it best though as he addressed the crowd at Fenway the day after the crisis ended. Sports are important especially in a sports crazed town like Boston. Sports gives people, even if for only a few hours, a chance to think about something else. It gives us something to hold onto when your whole world is turned upside down. A conversation topic other than the pain and sorrow you may feel. Sports can bring a nation or city together. Want proof? Look no further than Didier Drogba. He helped stop a civil war in his home country of the Ivory Coast. Players always talk about representing a country or city. The Red Sox and the Boston Bruins both have extra motivation to win now. This can also be a burden though, especially when you’re talking about the grind of a major league baseball season. How the Red Sox handle the psychological weight of the events of the Boston bombings will be something to monitor throughout the 2013 season. In the Spring of 2006 the College of Charleston parted ways with then-head coach Tom Herrion. The Cougars’ first coach since the John Kresse era led CofC to an NIT berth, and a Great Alaska Shootout victory by beating both Oklahoma State and Villanova during his tenure. But to Cougar faithful, 17-11 wasn’t going to cut it. Neither was losing consistently to what was once thought of as inferior teams. Squads like East Tennessee State, UT Chattanooga, Wofford and an emerging Davidson would be seen as elite programs in the Southern Conference. The Cougars’ were pegged back to the level as everyone else. A change was needed. 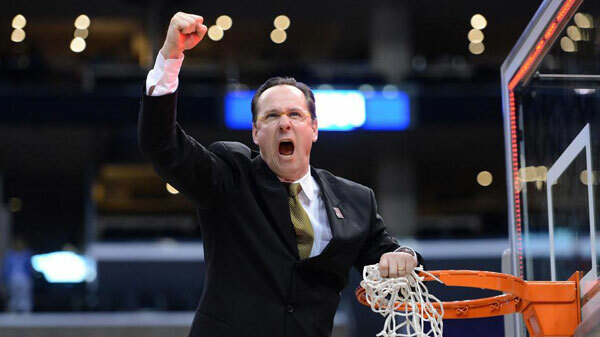 Enter Gregg Marshall. The then-Head coach for Winthrop in Rock Hill, South Carolina guided the Eagles to consecutive Big South titles, NCAA Tournament appearances, and a national ranking. In him, Cougar fans saw a former assistant coach, and protégé of John Kresse ready to take Charleston back to its status as a mid-major powerhouse. As an assistant for Charleston, Marshall helped the Cougars to an NCAA Tournament in 1994 and NIT berths in 1995 and 1996. On several occasions, the Cougars earned a national ranking. On June 28, 2006, the College of Charleston formally announced Gregg Marshall was leaving Winthrop to return to his roots. He would make the three-hour drive down I-77 turning onto I-26 in Columbia. He would take the Meeting Street exit on his way to 66 George Street and a building that’s been around since the guns of Fort Moultrie fired on Fort Sumter. Marshall said all the right things. It felt right. The next day the Cougars basketball community woke up with a hangover the length of East Bay Street. Marshall had a change of heart. He would return to Winthrop. All Marshall did the following season was take Winthrop to an undefeated conference record and another spot in the Big Dance. In the Tournament, the 11-seed Eagles upset 6-seed Notre Dame before falling to 3-seed Oregon in the second round. As for Charleston, they hired Bobby Cremins out of his Hilton Head retirement community. Cremins had some success recruiting, landing Andrew Goudelock who ended up playing in the NBA, and remains one of the top performers in the NBA D-League. Charleston made consecutive appearances in the SoCon finals, but could never make that push to the Tournament. The team’s last tournament appearance was 1999, and this writer was still at least eight months away from selecting the school as my college. Marshall left Winthrop for Wichita State following the 2006-2007 season. The Shockers just had a run of tremendous success under Mark Turgeon. They made the Sweet 16 in 2006, and the school needed to fill the void and keep Wichita State’s status as an elite mid-major program. 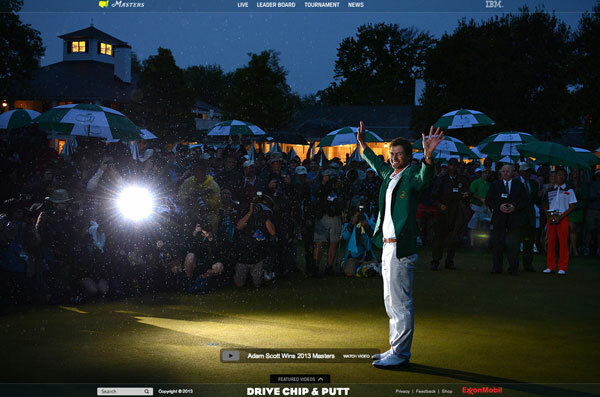 Enter Marshall. On March 23, 2011 the two worlds collided. The Cougars traveled to Wichita to face the Shockers in the NIT. The game stayed close, until the Shockers started pressing Goudelock in the second half, and forced several turnovers. The Shockers pulled away for an 82-75 victory. The Shockers continue to pull away today. In the 2012-2013 season, the Cougars played what has become an average Cougars season over the past 5 years. Solid enough to have a marginally-nice season, but fall one game short to Davidson (or another SoCon team) in the conference tournament. Wichita State did not have a banner Missouri Valley Conference season. They lost 6 conference games, and lost to top-seed Creighton in the MVC Championship game. But as Creighton got bounced from the Dance, all Wichita State did was knock off number-one seed Gonzaga, an overmatched LaSalle squad, and number-two seed Ohio State to reach the Final Four in Atlanta… a four-and-a-half mile drive from Charleston. So while many people in Charleston have a post-celebratory beer from the annual Cooper River Bridge Run on April 6th… John Kresse will greet his former assistant at the Georgia Dome as the Shockers face Louisville. Kresse’s main office for the College of Charleston is right next to TD Arena, at the corner of Meeting and George Streets. A corner Marshall knows too well.